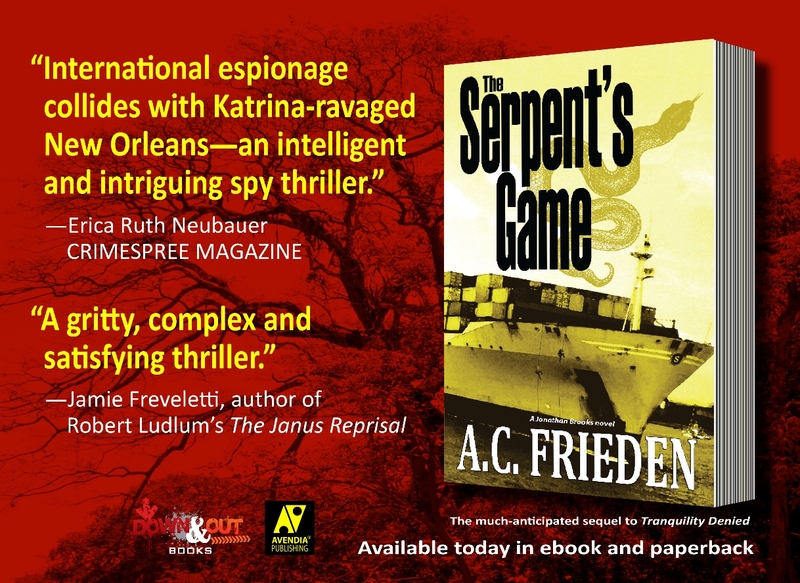 This entry was posted in Advertising/Sponsorship, Book Development and tagged A.C. Frieden, espionage, spy thriller, The Serpent's Game, thriller. Bookmark the permalink. 1 Response to The Serpent’s Game is out! This sounds spectacular! I can’t wait to read it. Congrats, Andre!